In digital marketing, making decisions blindly is a thing of the distant past. In today’s digital world, we have the most advanced software to determine the variables that optimize your campaign to the maximum. We live in the Age of Data and today it is possible to act based on results thanks to algorithms and predictive intelligence. Applied to online advertising, mathematical algorithms are a powerful tool; wonderful and artificial “minds” that complement the thinking of account managers in flesh and blood. The united and objective-focused capabilities of both, create a mix of explosive optimization! In today’s post, we will present 3 algorithms and predictive analytics that allow you to find the best solutions for your social media marketing (SMM) and search engine marketing (SEM) campaigns. Prophet is the tool that allows you to make predictions about your marketing goals on Facebook. 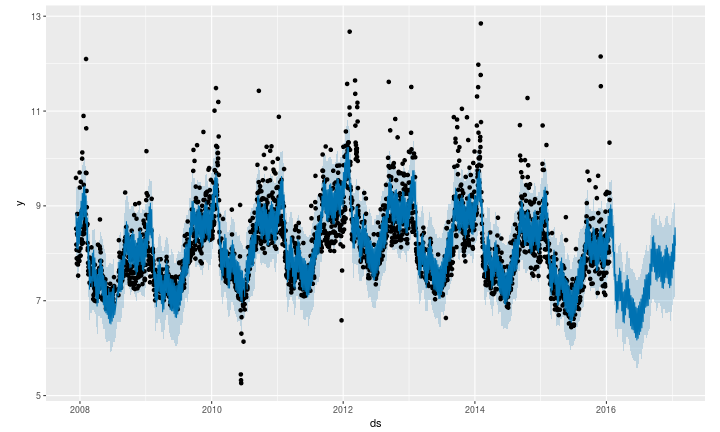 It is open source and is available in Python and R. Their predictions are based on Facebook’s “business” pages and in relation to time series. It uses characteristics, such as trend; seasonality; key dates – holidays or specific known events, such as Black Friday; trend change history – due to a product launch, etc; and trends that have non-linear growth curves, due to reaching their natural limit or saturation point. Prophet results can be as accurate as those produced by the most experienced analysts. However, with this prediction procedure the same result is reached but with much less effort, resources and time. As a result, the two main advantages it brings to the table is that it makes it possible to make accurate forecasts much more easily and forecasts can be customized intuitively. CausalImpact is a package in R programming language that uses Bayesian models of temporal structure to carry out causal inferences. 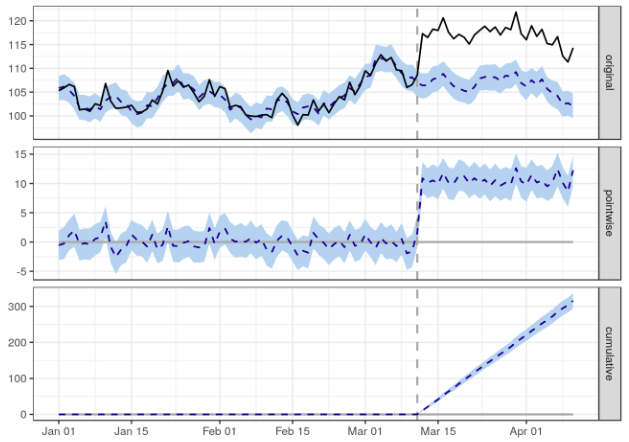 Simplifying, we could say that it measures the impact of an action in a time series. This structured prediction analytic has been used in Google since its development. Applied to digital marketing, you can answer questions such as how many additional clicks an advertising campaign generates per day or how the response rate could have evolved if a certain action had never taken place. As a result, CausalImpact offers eye opening statistics based on changes that can be applied to a campaign. Examine the time series of the data both before and after a certain action, so you can get an idea about whether the changes are due to the action or are the result of chance. What marketing expert could resist these analytical charms? 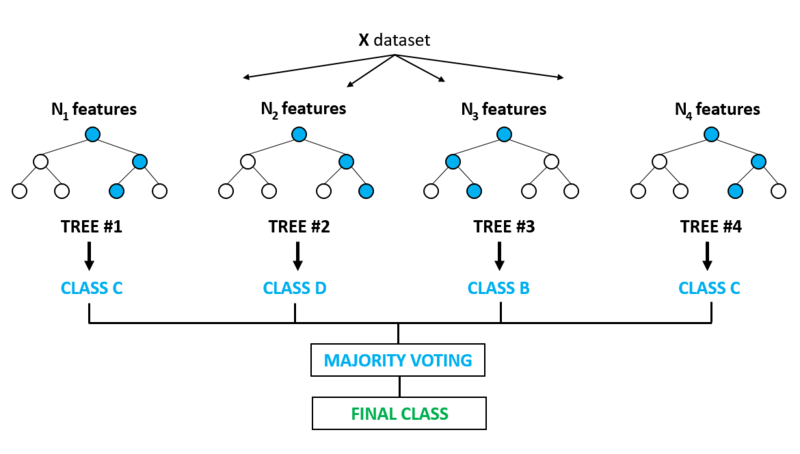 Random Forest is based on a model known as decision tree and stands out for its level of reliability, difficult to overcome by other algorithms. It works efficiently in large databases and can handle thousands of variable entries without the need to delete any. There are two types: classification and regression. But let’s focus on what interests us. In online advertising, Random Forest is able to predict anything that comes to mind. Fraud? Conversions given other parameters? “You name it!”, could say Sheldon Cooper. Random Forest includes numerous forecasts. Also called “geo experiment”, the test of causal inference allows estimating the impact of an investment decision on a response variable. Basically, it’s a test in which part of the audience is no longer impacted with our campaign. Thanks to the historical data and a control group, we can create a forecast for the test group. At Tidart, we provide an additional layer of machine learning analytics and prediction to increase the efficiency of the tools provided by Facebook and Google. The combination specifically tailored to each client ensures maximized results for clients. In addition, we have a Data Lab where our team of mathematicians joins account managers to develop studies based on data science. This allows us to adjust parameters such as profitability, purchase decision time, average order or conversion channels down to the smallest detail. Do you want to know what more advanced analytics can do for your brand? Contact us!